Is your bathroom flooded and you need a 24 hour emergency plumber in Melbourne right away? Perhaps your plumbing emergency is a burst pipe or even a water shortage. Whatever your emergency plumbing problem is, we are the team you can rely upon. 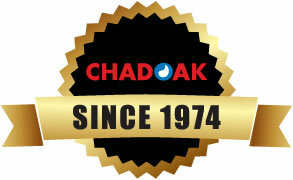 With over 40 years of experience in the plumbing industry, at Chadoak we understand that when you experience a plumbing emergency, you want immediate action. This is why we have created a comprehensive, emergency plumbing service. Our Emergency Plumber Melbourne are available around the clock, 24 hours a day seven days a week for your convenience. As soon as you call our friendly plumbing team, you will feel immediate peace of mind knowing your plumbing is safe in our hands. Upon receiving your call, our plumbers jump to action. In their fully equipped service vehicles they come to your aid, right across the Melbourne metro. Our plumbers conduct themselves in a professional manner and provide fast and efficient service. You will be impressed by their professional yet personalized service. If you need any help of advice, our plumbers are more than happy to provide it. 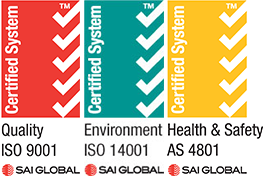 They also strive to leave your property operating perfectly, ensuring your home or office can return to normal functioning as soon as possible. While a plumbing emergency cannot be scheduled by homeowners or businesses, we do advise you to be organized for when emergency strikes. As part of your business and home emergency safety plan, include the Chadoak emergency phone number as a guaranteed strategy to deal with a plumbing emergency. Chadoak’s dedicated maintenance team of qualified plumbers are available to discuss your situation and help you plan a maintenance audit and an emergency response plan. Our talented call team can assist in the prevention of property, stock and content damage, before it’s too late. To hire a 24 hour, emergency plumber, give us a call now on 0400 069 549. +extra costs occur if after hours.